Munich - FC Bayern Munich goalkeeper has been rewarded for his consistently top-quality performances by being shortlisted for the prestigious FIFA Ballon d'Or award. The 23-man list, drawn up by a panel of experts at world football's governing body in tandem with representatives from France Football magazine, will be further whittled down to just three on 29 November, before the ceremony to announce the best player in the world in Zurich on 7 January 2013. Barcelona forward Lionel Messi has been the recipient for the last three consecutive years. 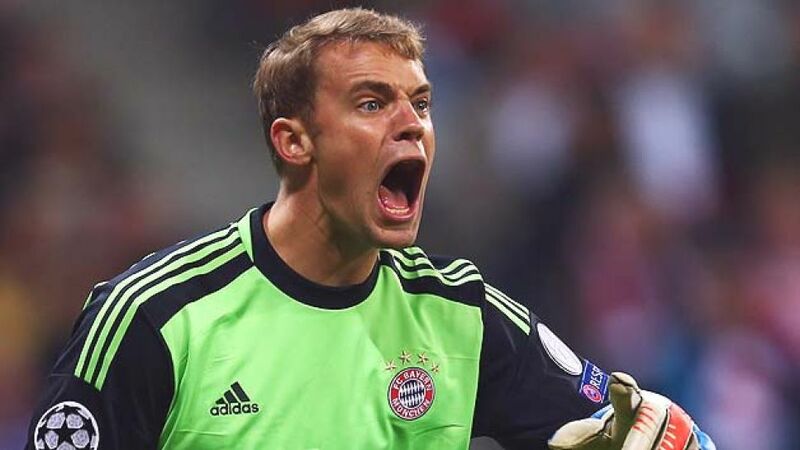 Last season, Neuer went over 1,000 minutes without conceding a goal in a competitive game for Bayern, breaking a long-standing club record held by Germany and Bayern legend Oliver Kahn. The 26-year-old was one of just three keepers nominated, alongside Real Madrid's Iker Casillas and Gianluigi Buffon of Juventus. Neuer's Germany team-mate Mesut Özil was also on the list. Off the pitch, the panel have also selected ten coaches for the Men's Coach of the Year award. Three of the elite names hail from Germany, with Bayern's Jupp Heynckes, Dortmund's Jürgen Klopp and Germany national team boss Joachim Löw receiving recognition for their achievements.